Who doesn’t love pancakes? Coming back from a long run and diving into a stack of flapjacks is certainly a tasty way to restore those carbohydrate stores. But all that carbo-loading talk you’ve heard tends to over amplify just how much carbohydrates even the most active of athletes require. The importance of ensuring that your protein intake is high enough should also be stressed. What better way to do that than by mixing some protein powder in that pancake mix? 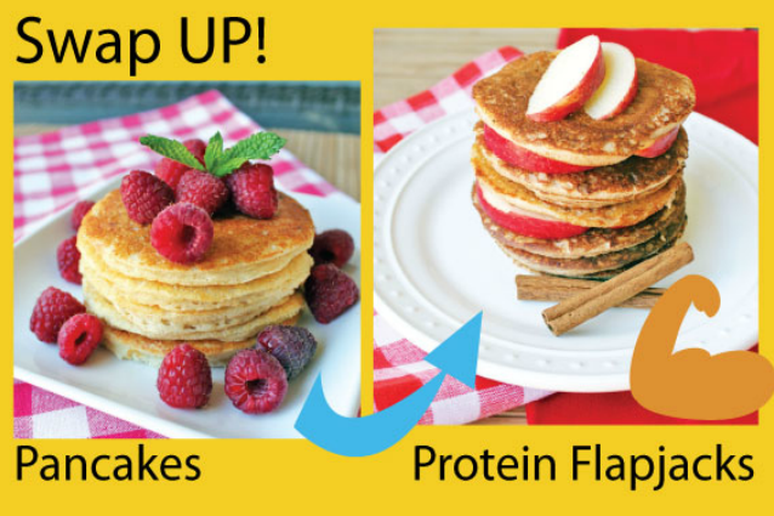 FlapJacked introduces you to protein-packed pancakes that also contain fiber, whole grains, calcium, antioxidants and other precious vitamins. Potatoes are a carbohydrate friend to the active athlete; be sure you’re always eating that skin too, because that is where the highest concentration of vitamins and minerals are. 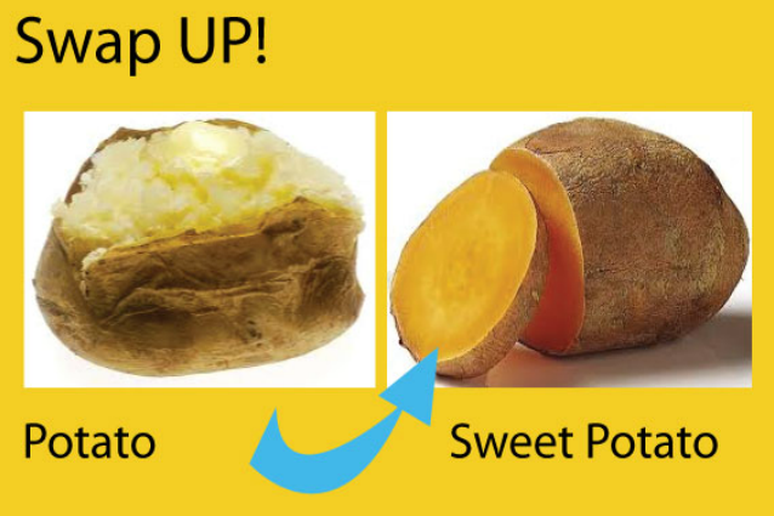 Opt for sweet potatoes and you’ll not only be getting the carbs and fiber of the traditional potatoes, but more vitamin C, folate and drastically more vitamin A, which helps boost the immune system. Yogurt offers a healthy dose of calcium, paired with fruits this is an excellent snack. 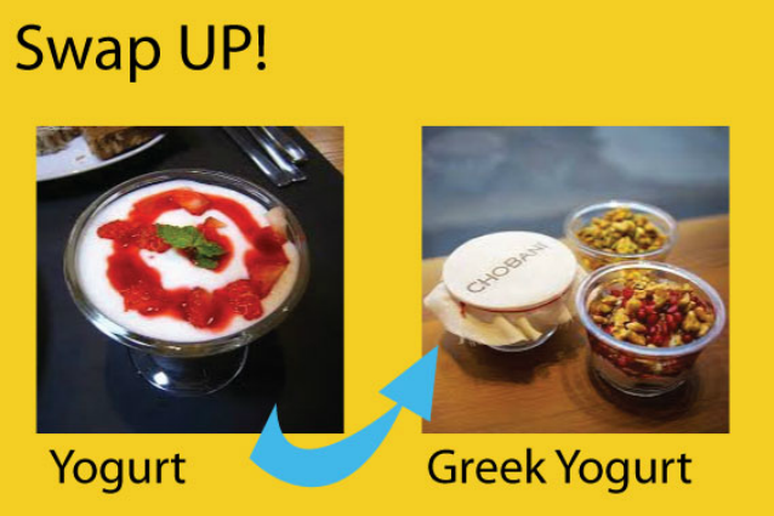 But you can kick that yogurt up by simply swapping up for Greek Yogurt, which will also supply you with much more protein than the traditional variety. We all know we should be eating our vegetables, and lettuce makes a perfect bed for a salad filled with other vegetables and a lean protein. 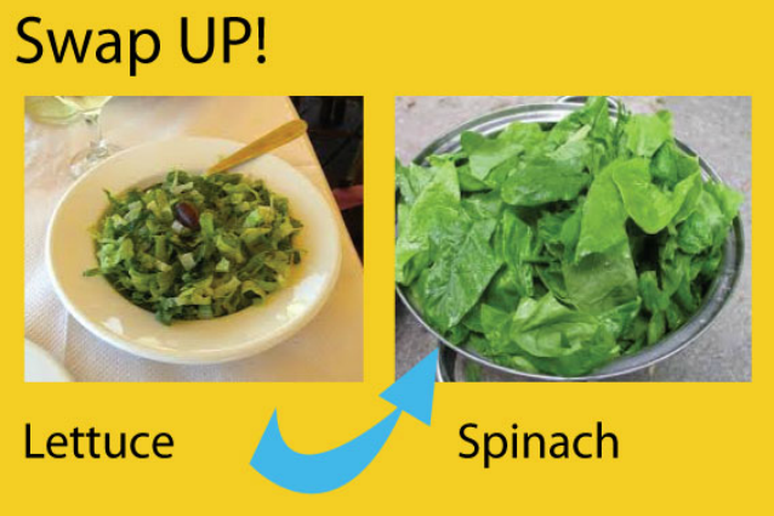 Make that salad even more nutritious by swapping the iceberg for spinach. Spinach will give you much more iron, which is especially crucial for female athletes. What’s even more powerful than spinach? 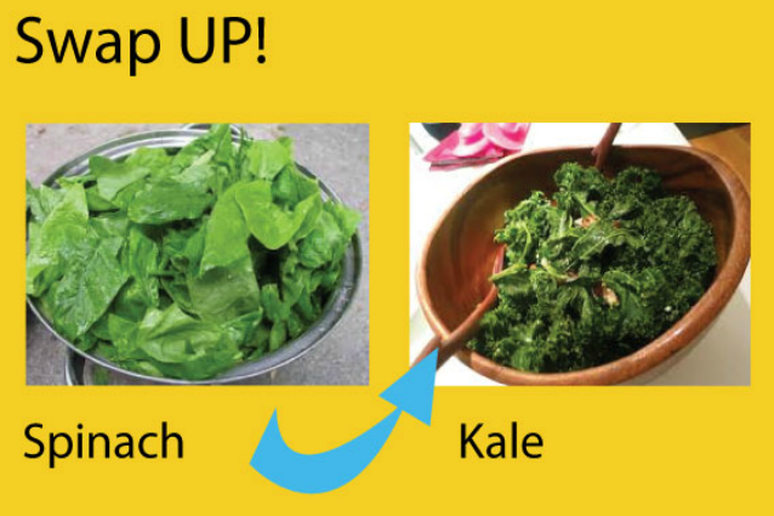 This swap gets a double punch if you opt for kale. Kale will give you a slight boost in protein but more specifically the micronutrients in kale are rated better overall with more calcium, vitamin C, vitamin A and vitamin K.
So far as you’re not allergic, looking to nuts and peanut butter are keen ways to insert those healthy fat sources into your diet. Keeping portion sizes in check, that peanut butter can be made even better when swapped up for almond butter, which will provide more micronutrients overall including potassium, iron and calcium. 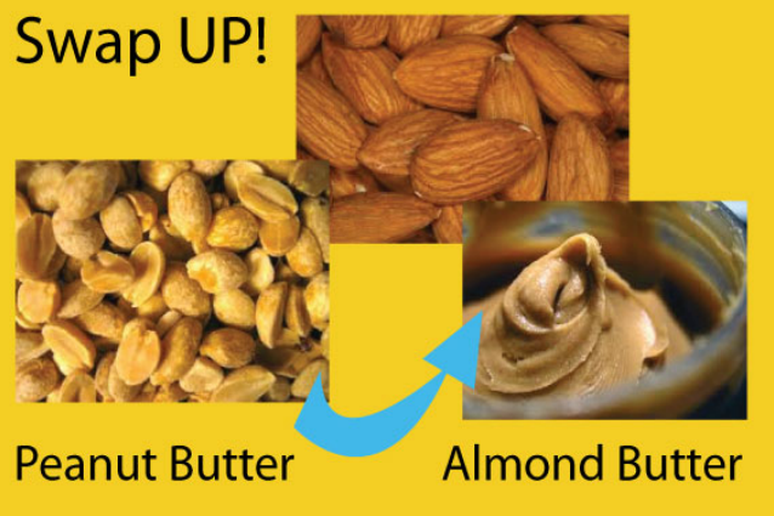 Almond butter will also be lower in saturated fat when compared to the peanut variety. White rice is another wonderful carbohydrate compliment to the protein and veggies on your plate, but by swapping for brown rice you’ll increase your fiber count. 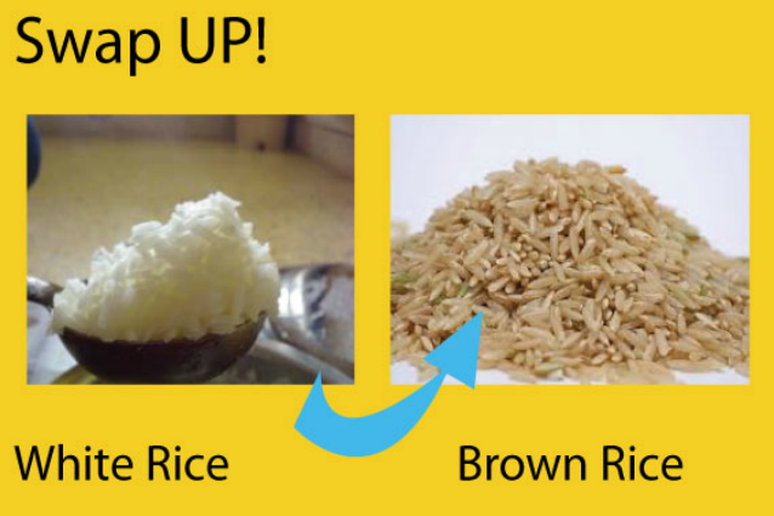 Brown rice is also much less refined and better able to supply a more stable source of energy. Make that brown rice selection even more apt to fuel your performance by swapping it for quinoa. 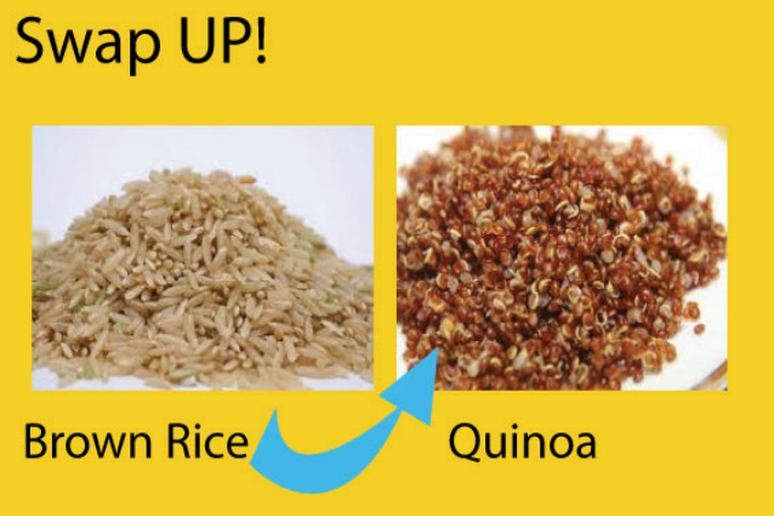 Per cup, quinoa will give you 8 grams of protein, more fiber, calcium, iron and potassium. Chocolate can be healthy for both an athlete’s body and mind. Antioxidants found in chocolate will fight free radicals and help fight heart disease. 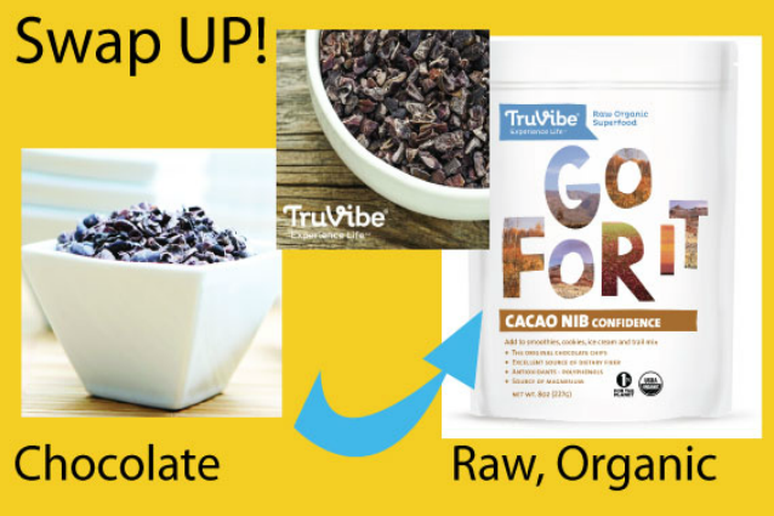 The catch is the kind of chocolate; opt for an unprocessed form such as TruVibe’s Cocoa Nibs and you’ll dramatically increase the antioxidant, vitamin, mineral and fiber content. Your mind will be just as happy.